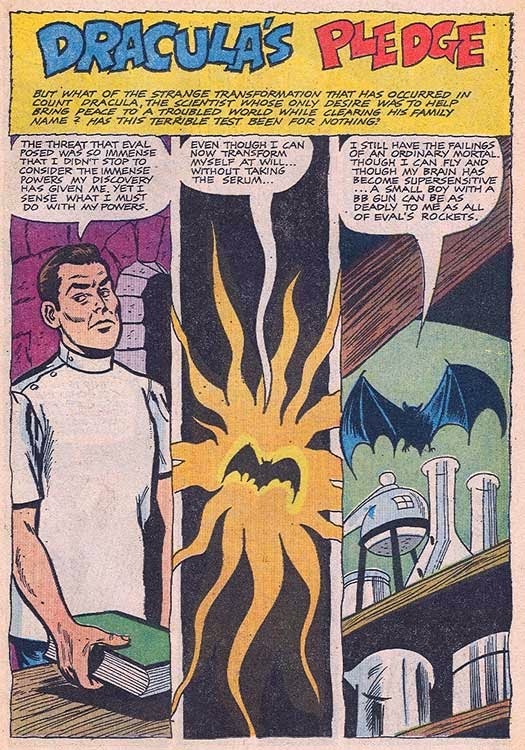 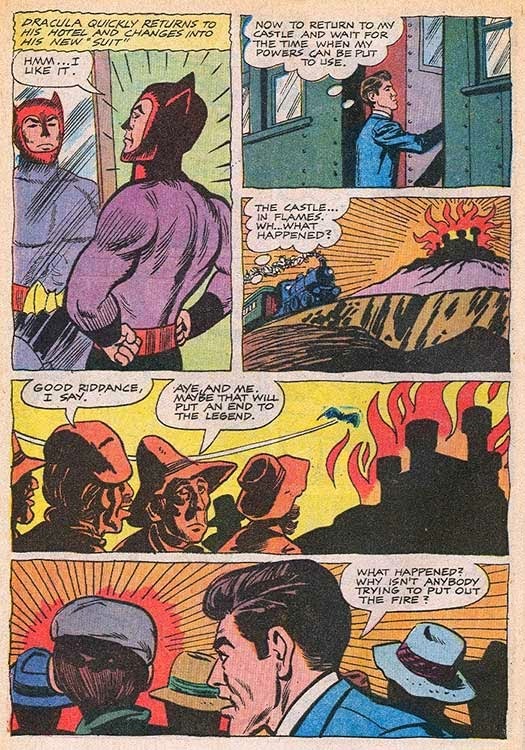 Hero Histories: Dracula the SuperHero "Dracula's Pledge"
Dracula the SuperHero "Dracula's Pledge"
After inadvertantly ingesting a serum derived from bats that gave him extraordinary abilities, scientist Dracula (first name unknown) uses those talents to defeat a nuclear terrorist using his family's castle as a base of operations. 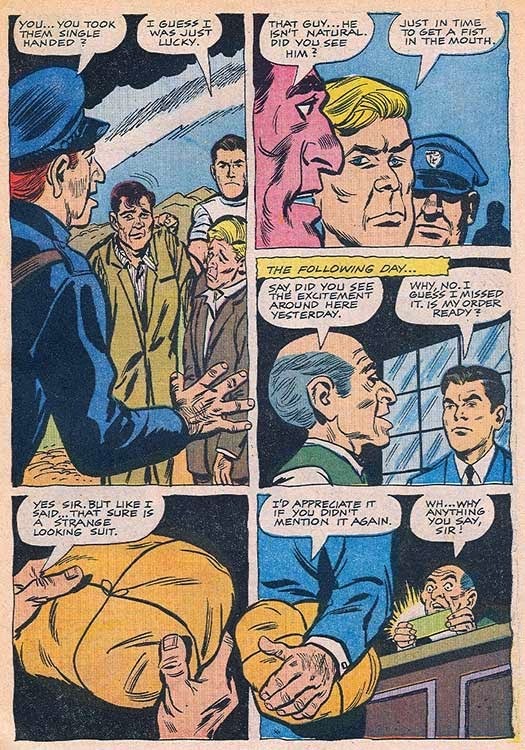 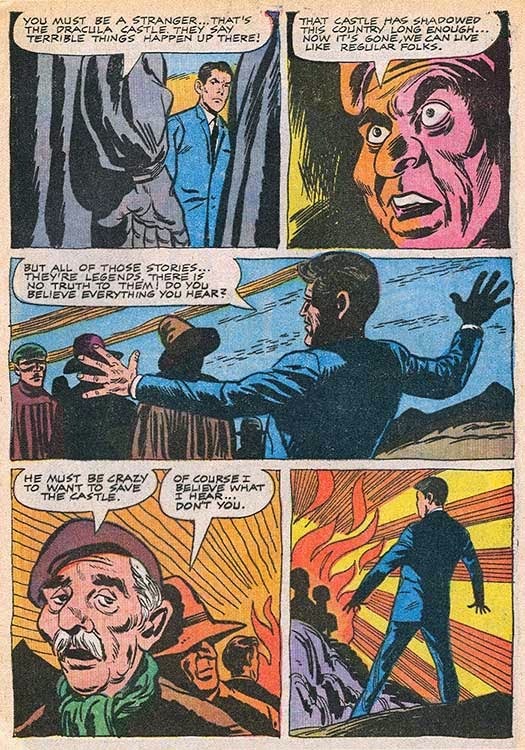 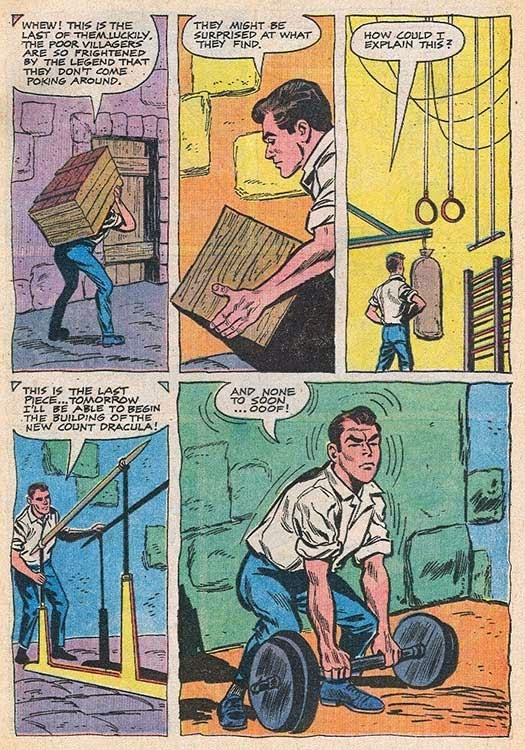 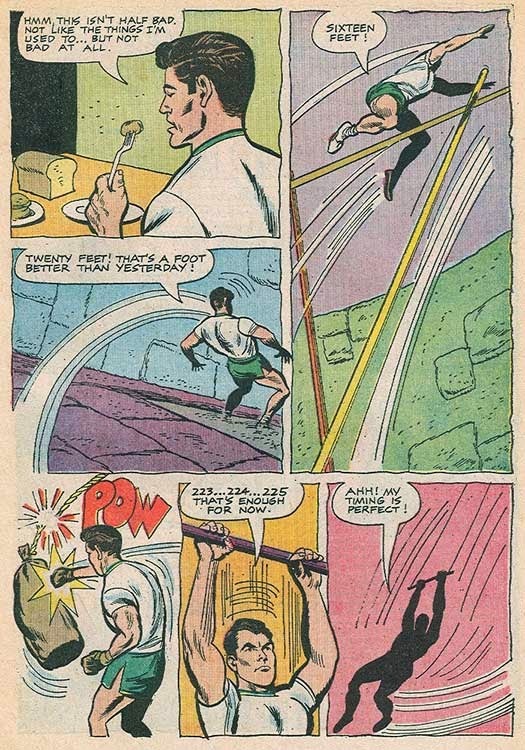 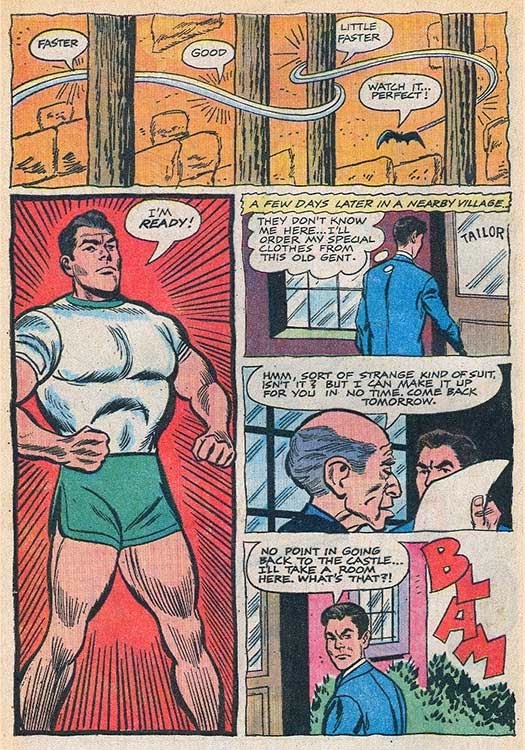 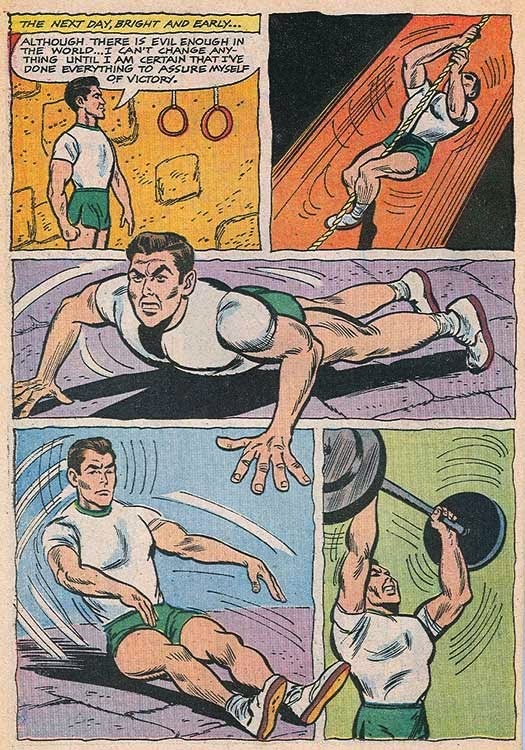 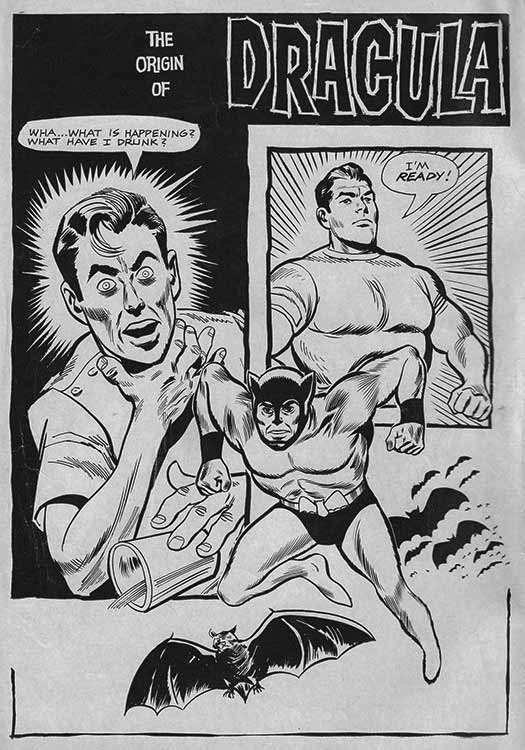 Writer Don Segall and artists Bill Fraccio and Tony Tallarico took a somewhat more serious approach to this origin from Dell's Dracula #2 (1966) as opposed to their work on the Frankenstein SuperHero, which was "campy" from the beginning. 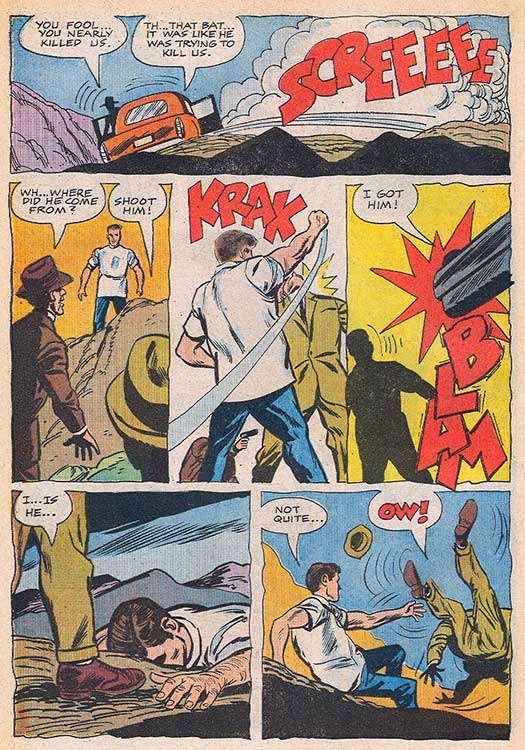 Keep in mind I said "somewhat", and that the tone began to radically-shift to camp as of the next issue! 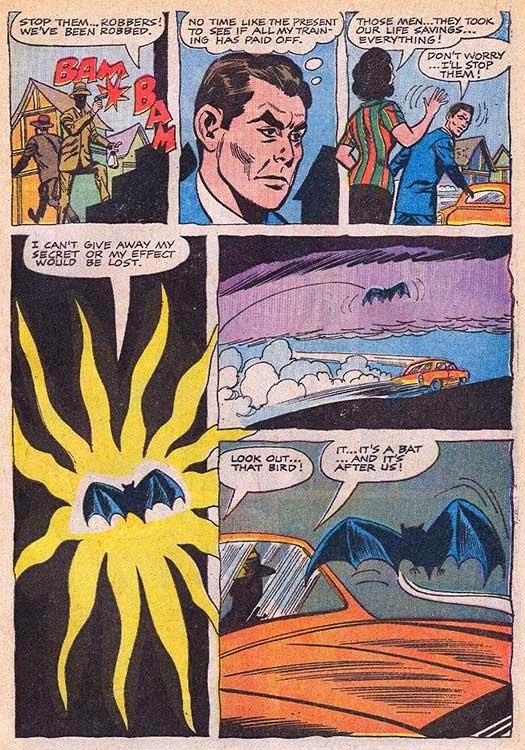 Dracula will return shortly, but next up is the super-spy based on The WolfMan...also by the same creative team of Segall, Fraccio and Tallarico! 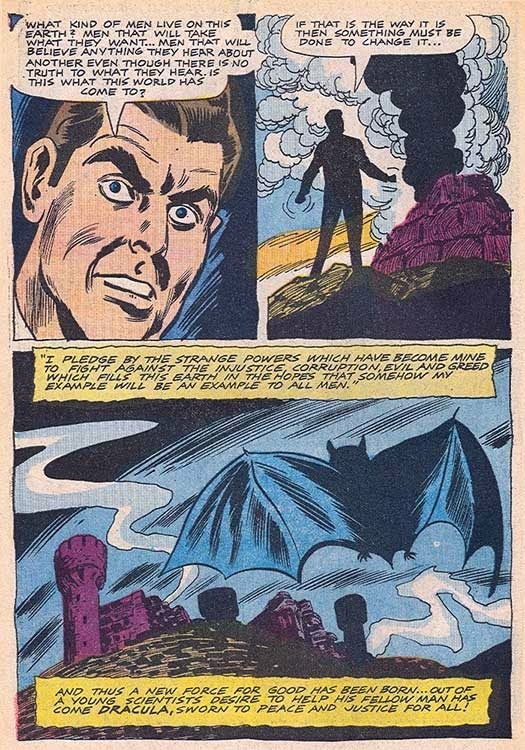 Dracula the SuperHero "Rain of Terror"
Dracula the SuperHero "Sky Fleet"
Frankenstein the SuperHero "Programmed for Death"
Frankenstein the SuperHero "The Trap"
Frankenstein the SuperHero "No One is Safe!" 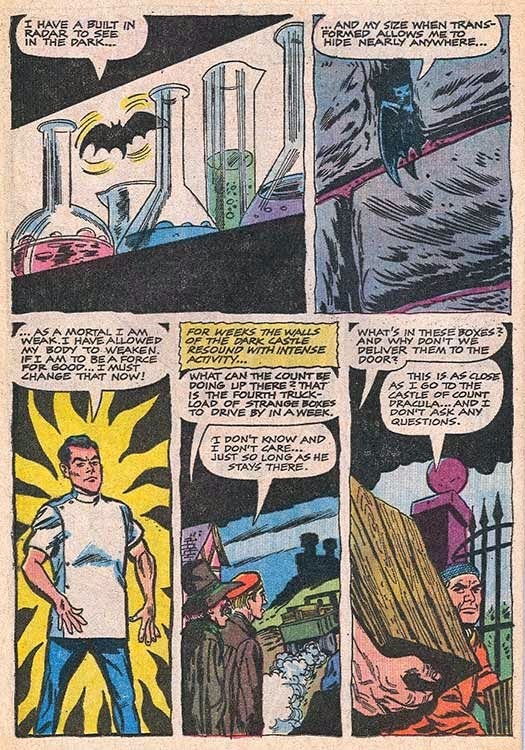 WereWolf the SuperHero "Assignment Top Secret"
WereWolf the SuperHero "Trial by Nature"
Dracula the SuperHero "Peace Conference"